1920 US Census, CT, Fairfield, Shelton; SD 2, ED 128, Sheet 23B; Ancestry.com; Mickel McGlen at 310 Howe Avenue. 1930 US Census, CT, Farifield, Shelton; ED 1-179, SD 4, Sheet 2A; Ancestry.com; Michael J Mcglynn on Howe Avenue. 1940 US Census, CT, Fairfield, Shelton; SD4, ED 1-132, Sheet 4A; Ancestry.com; Michel McGlynn at 310 Howe Avenue. 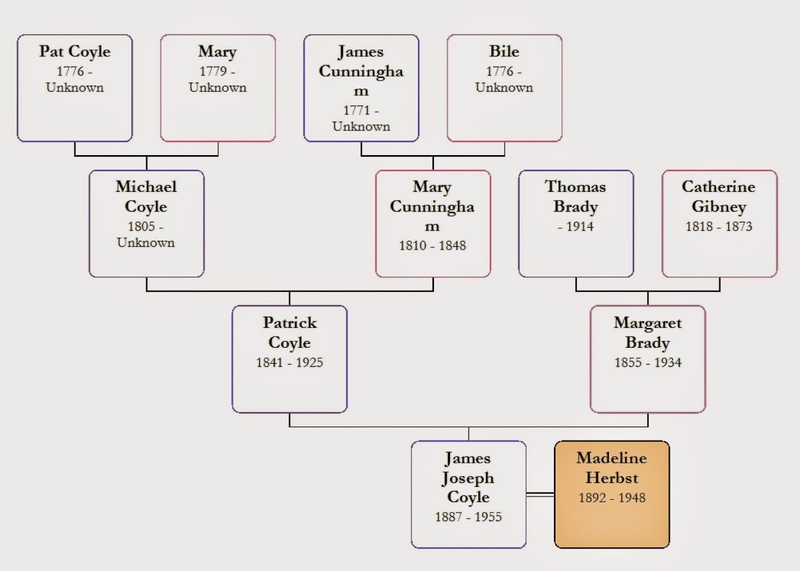 the family left Ireland for the United States in 1885 but most of the others stayed in the town by the River Suir. The New York Mullanes and the Irish Mullanes kept in touch over the years with cards, letters and visits. A home movie documents a visit by the Coyle sisters, granddaughters of Daniel Mullane, back to Clonmel. The black and white movie shows the streets of the city, an outing to Saint Patrick’s Well, people smiling into the camera and the family tombstone. I have tried to find that tombstone for several years. I wrote letters to the churches in Clonmel and searched websites. I was told, more than once, that many people at that time did not have tombstones because of the expense. But I knew it existed because of the blurred images on the movie reel. 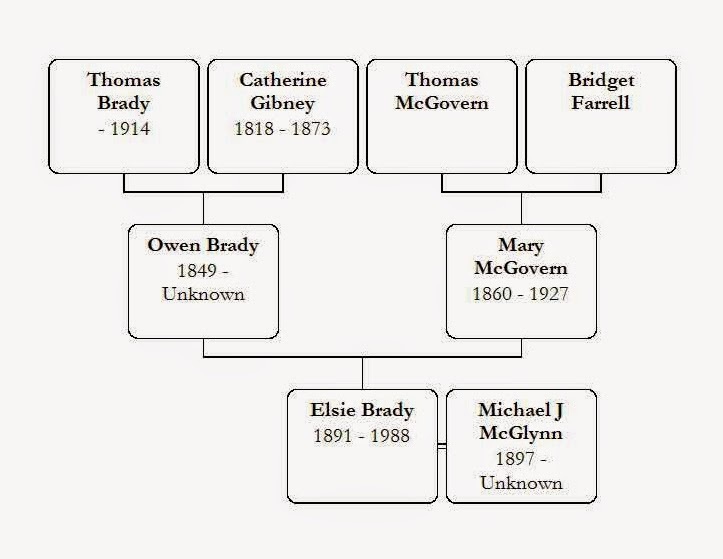 I knew that Daniel & Bridget (English) Mullane had been married in Saint Mary’s Church 25 August 1866. Their oldest children, including my great grandmother, were baptized there. Beginning c 1872 they were members of Saints Pater and Paul Church. Therefore I assumed the tombstone was near of one of those two churches. In April 2012 our oldest daughter and I spent a few days in Ireland. I was excited to visit Clonmel, walk the streets my family had walked and to find and photograph the tombstone. We walked carefully through the church yards examining each faded tombstone but found no Mullane stones. Both churches were locked and we saw no offices to make enquiries. I was very disappointed. Could the stone have been knocked over or destroyed? I was to later discover that it was in a cemetery just a few miles down the road from Clonmel. Home again I reread my Irish resources for a suggestion on how I could find this tombstone. I contacted the South Tipperary County Archives. 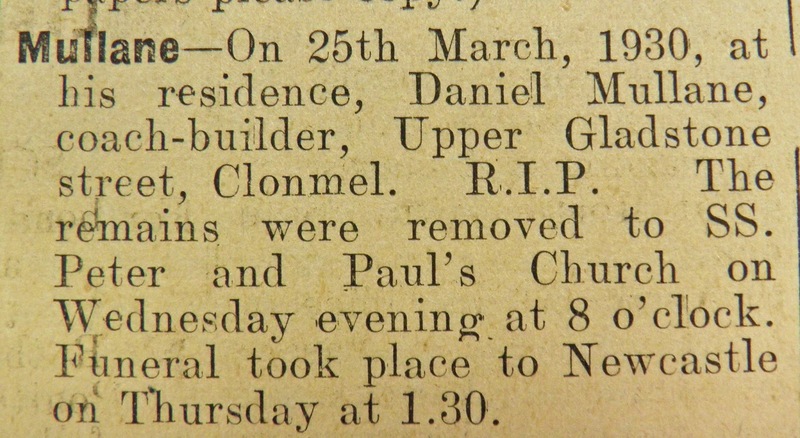 They had been helpful to me in the past and they emailed to me the death notice & obituary for Daniel Mullane. His funeral service had been held at Saints Peter & Paul Church but he was buried in Newcastle. I wrote to the parish priest and he kindly confirmed that the tombstone is there! 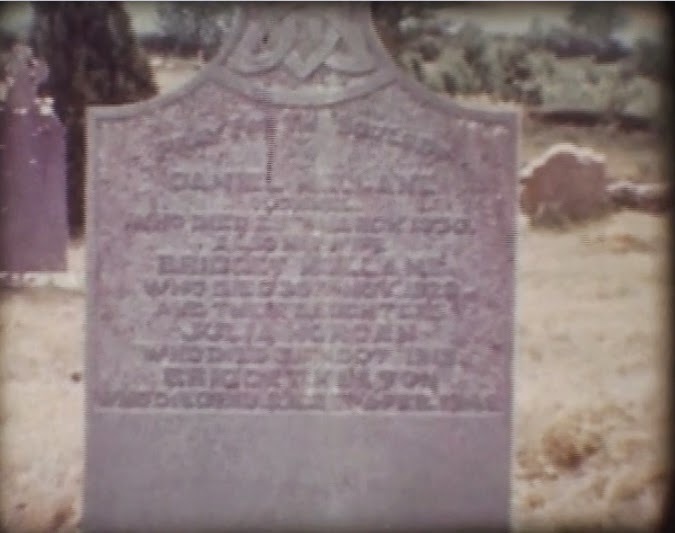 Obtaining a clear digital photograph of this tombstone is a priority on my Genealogy To Do List. I did not want to put it off. 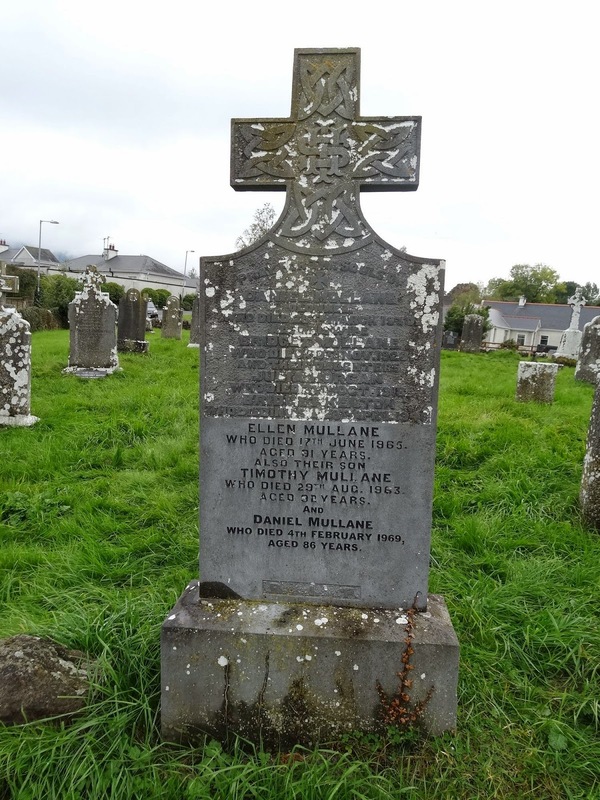 Recently, I decided to ask members of the Tipperary County Facebook group if anyone lived near the cemetery & would be willing to photograph the tombstone for me. I quickly had a response that directed me to HistoricGraves.com. Amazingly, they have the stones in Middlequarter, Newcastle, County Tipperary and they have the family tombstone photographed & transcribed! That put a big smile on my face! Although Daniel had 11 children, only two had children. There were 9 grandchildren & 6 of those had no children. 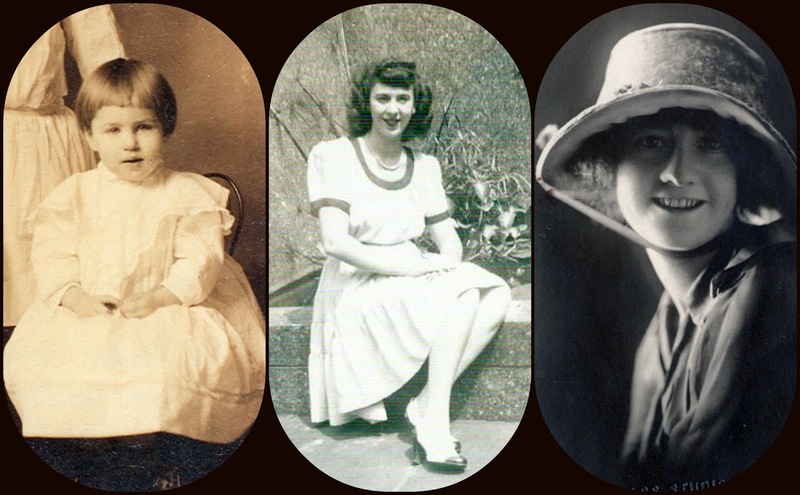 My mother was the only great grandchild I know of. Therefore, I feel an added responsibility to gather & share this information. If not me, who else? MemorialDay or Decoration Day was originally established to honor the dead from the Civil War and now is a day to honor all those who died in service of our country. Flags are flown at half mast, red poppies can be worn & flowers are left at the graves of our soldiers. Scouts, fire fighters and school band members march in small town parades. Red, white and blue are the colors of the day. I begin with fold3 whenever I do military research. I have uncovered Civil War pension records here, World War draft cards, roster rolls of soldiers and more. 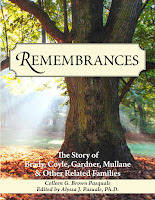 Besides uncovering facts you can also create Memorial pages for your ancestors. This is not a free website but it is a valuable resource. The US Department of Veterans Affairs supplies a free search for the graves of veterans. Start here is your ancestor served in forming our country. 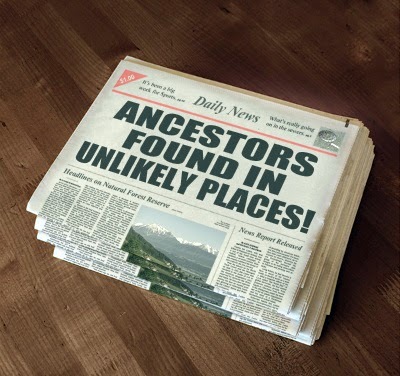 Your ancestor might have been entered by another family member. The National Park Service has a database that gives information on those who served in the Civil War for both the Union and Confederate armies. As I uncover soldiers in my family I use these websites & others. 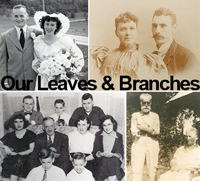 Then I add the soldiers to my website, Our Leaves & Branches. I have other resources for military research there. 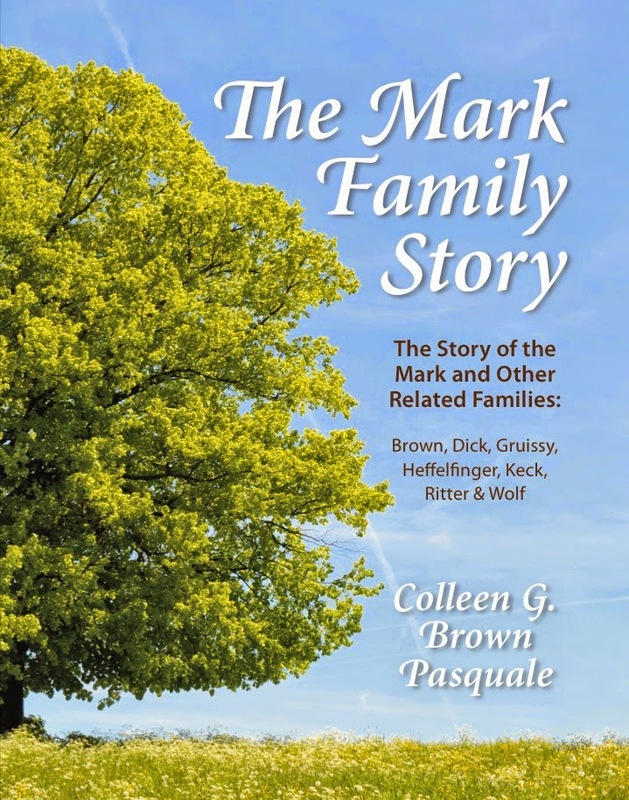 In 2011 my years of research on my paternal grandmother’s Mark family became a book, ‘The Mark Family Story: The Story of the Mark and Other Related Families’. I published the story of this family branch because I wanted to share it with my family, both the family I know and scattered family members I have yet to meet. In order to reach out to unknown family members I donated copies of my book to Pennsylvania & Ohio libraries where I had done research and where our family had lived. I have wondered how often those books are taken off the shelves and read. 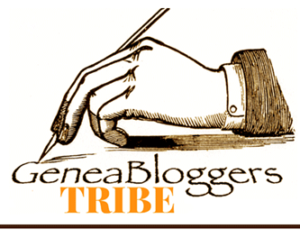 Last month I got a message from Troy Book Makers, the publisher of my book. They told me someone wanted copies of my book but they no longer had any. They gave me the phone number of my second cousin, once removed. I was very happy to give Melvin a call. It turns out we had met several years ago at a family gathering in Ohio. He recently decided to research his Mark family roots. We went to the Wayne County, OH library, a small friendly library with a terrific genealogy section, and began his research. After a couple trips to the library he wondered if there could be a book published about the family. He went to the shelves and found my book. my husband & I met up at a Bob Evans Restaurant for iced tea, pie & conversation. We had a delightful time reconnecting and I was able to hand over the copies of my book in person. He hopes to extend my research further back in time. We both hope to stay in touch and share future discoveries. New York City where they lived till 1940 when they moved to Germantown, NY where they remained. Remember to look for state census reports, often done between the federal censuses. They can fill in family history blank years. 1925 NY State Census; AD2, ED 56, p 51; New York State Library, Albany NY; Nat Gardner at 217 Mt Eden Ave., Bronx. 1930 US Census, NY, Bronx; ED 3-400, SD 26, Sheet 14B; Ancestry.com; Nathaniel Gardner on Plymouth Avenue. 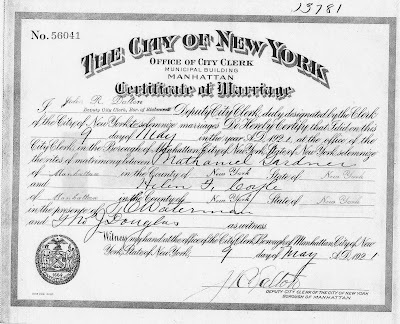 1940 US Census, NY, Bronx; SD 24, ED 3-814, Sheet 11B; Ancestry.com; Nathan Gardner at 2856 East 197th Street. This is my first Mothers' Day as a grandmother. I had three wonderful examples on how to be a loving grandmother. I hope I carry on the tradition of unconditional love, unwavering support & encouragement of dreams that was given to my brothers & me as we grew up. 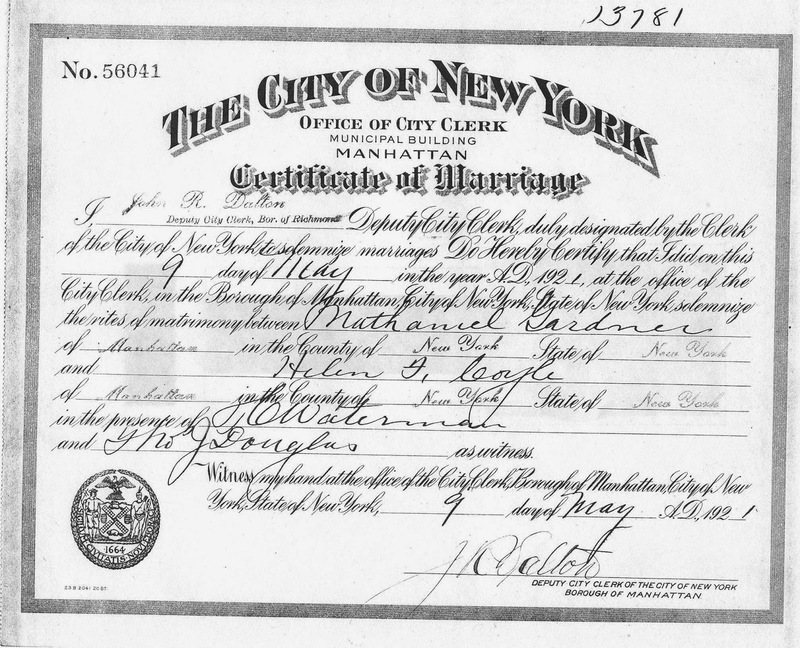 They were born, met & married in New York City. 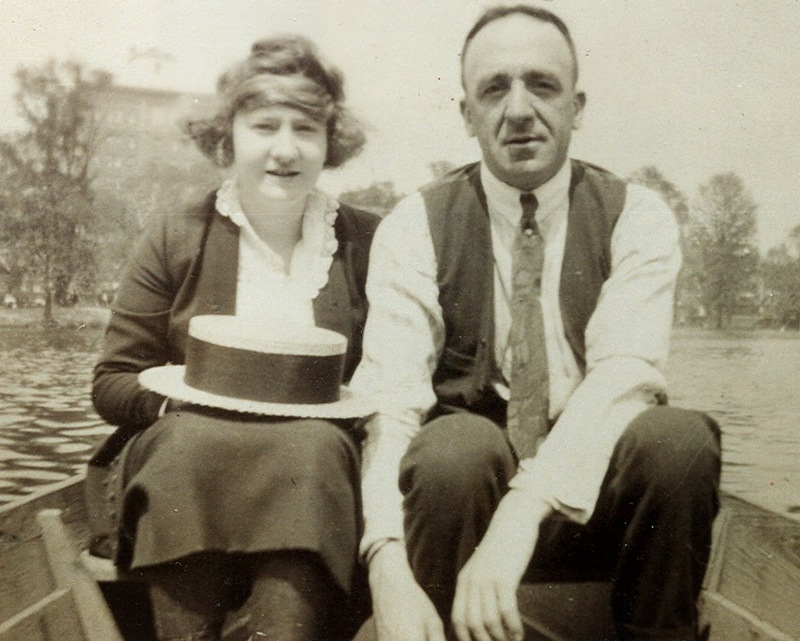 They met when they both worked for the Western Union Telegraph Company. The photo, above, was taken c 1920 when they were boating at Central Park. I love the way my Nana is holding Nat's hat on her lap. He has taken off his jacket but is still wearing his vest & tie for rowing in the park. There are no wedding photos for my grandparents. The ceremony was held in City Hall. Because of the religious differences, the families were against their marriage so there was no family celebration. It took years and the birth of my mother before they were able to reconnect with their families. near Columbus, OH. Most of our route was west on Interstate 90 through the Mohawk Valley region, past the Finger Lakes and on to western New York before a brief drive through Pennsylvania and into Ohio. 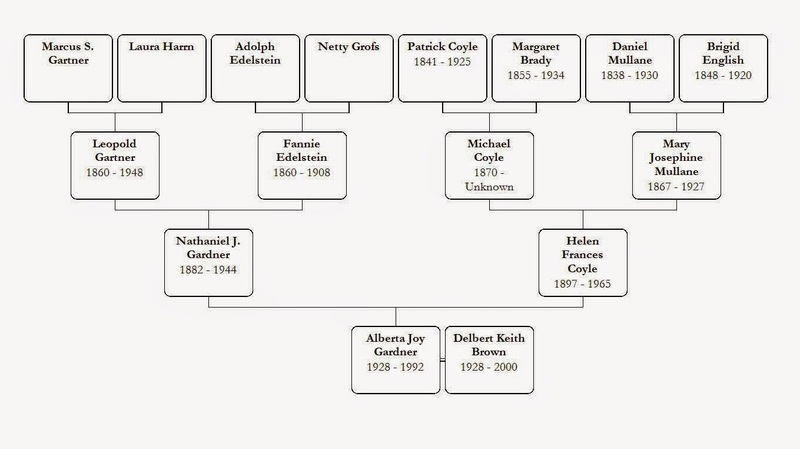 While we made our plans for the wedding I did a little genealogy research, naturally! LeopoldGartner/Gardner, my great grandfather, lived his final years in Buffalo, NY. 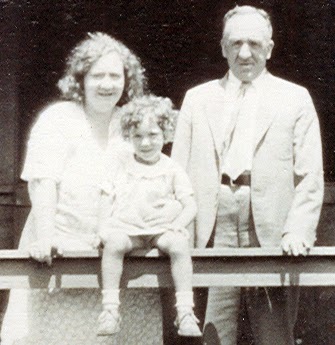 He lived with his daughter, Florence Gartner Weisberg/Weissberg. I had discovered where he was buried but had never visited his grave. Because we were going to be driving through Buffalo I thought a quick stop was in order. I found North Park Cemetery on Find A Grave but, as I often find with Find A Grave, there was no street address. I found the website for the JewishFederation for Greater Buffalo, found their community directory and called the number for cemetery information. The woman I spoke to quickly and efficiently gave me the street address and advice on where to park. She also gave me the location of the graves of Leopold, his daughter Florence, and her husband Samuel. I was nervous that it might not be as easy as it sounded and that we would be delayed on our long drive to Ohio. However, it went smoothly. Ironically, for three years my husband & I had lived just a few miles from the cemetery. At that time I had not begun genealogy research and had no idea my great grandfather was close by. We easily found Leopold, Florence & Samuel. I snapped more pictures than necessary, took a moment for prayer and we were soon on our way again. When we arrived at the hotel and greeted cousins no one was surprised at all that we had stopped off to do genealogy along the way! James J. Coyle, Bracewood Rd, manual training teacher at Washington school for 31 years, died at St. Mary’s Hospital last night after a long illness. 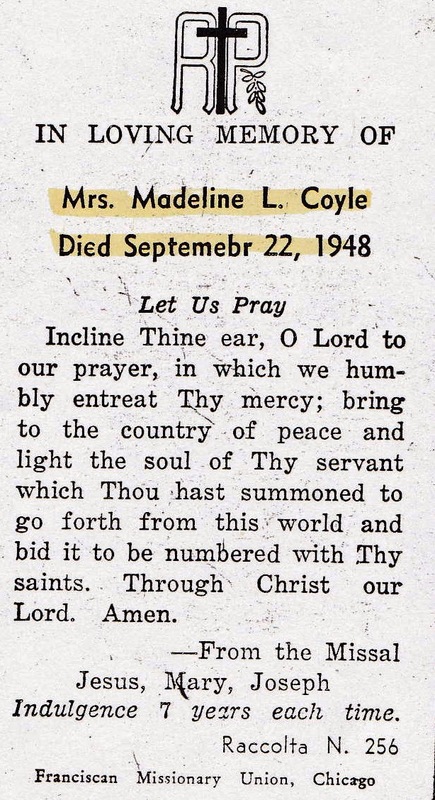 Born in Waterbury, he was the son of the late Patrick and Margaret (Brady) Coyle. He had been retired for the past five years. 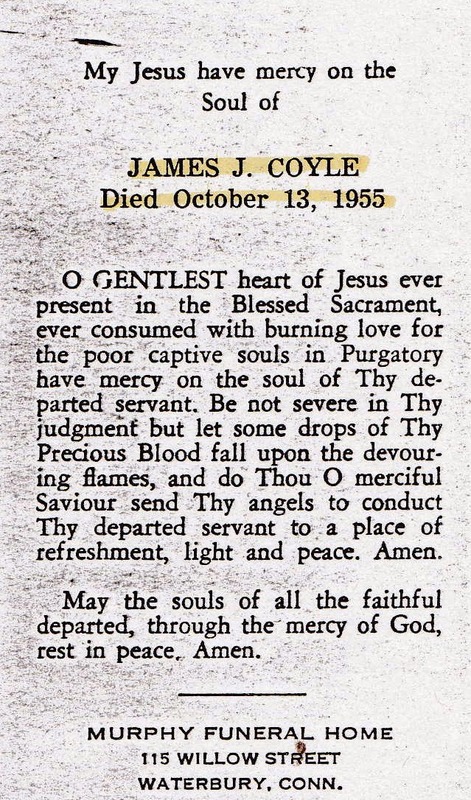 Mr. Coyle was a communicant of SS Peter and Paul Church. He is survived by five sons, Robert J., John J., both of New Haven; James J., Jr., of Detroit, and Rev. 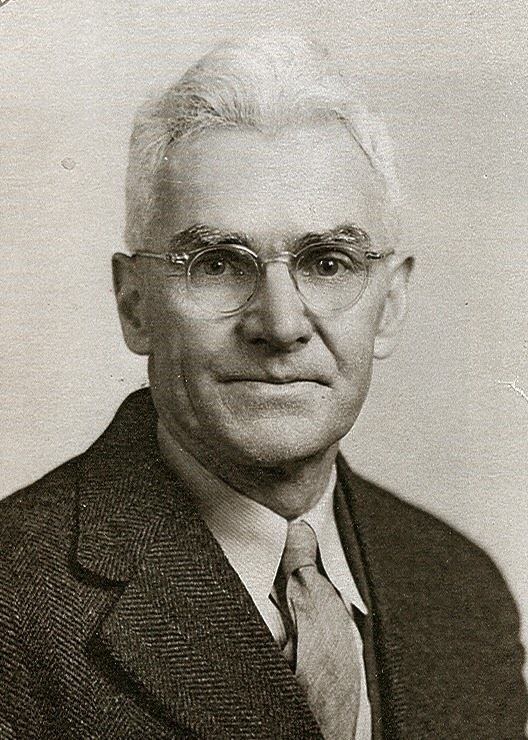 Joseph J Coyle, SVD of Techny, Ill.; two daughters, Mrs. Richard S. Wolff, Woodcliff Lake, NJ and Miss Madeline M Coyle, Springfield, Ill; two brothers, Thomas and William, both of Los Angeles, Cal., two sisters, Miss Margaret E Coyle and Mrs. William Cass, both of Waterbury, and 13 grandchildren. The funeral will be held Monday at 8:15 from the Murphy Funeral Home, 115 Willow St., to SS Peter and Paul Church at 9 when a high Mass will be celebrated by his son. Burial will be M Calvary Cemetery. Friends may call at the funeral home tomorrow from 7 to 10 p. m. and Sunday from 2 to 10 p. m.
Thanks to The Silas Bronson Library for scanning & emailing this obituary to me!